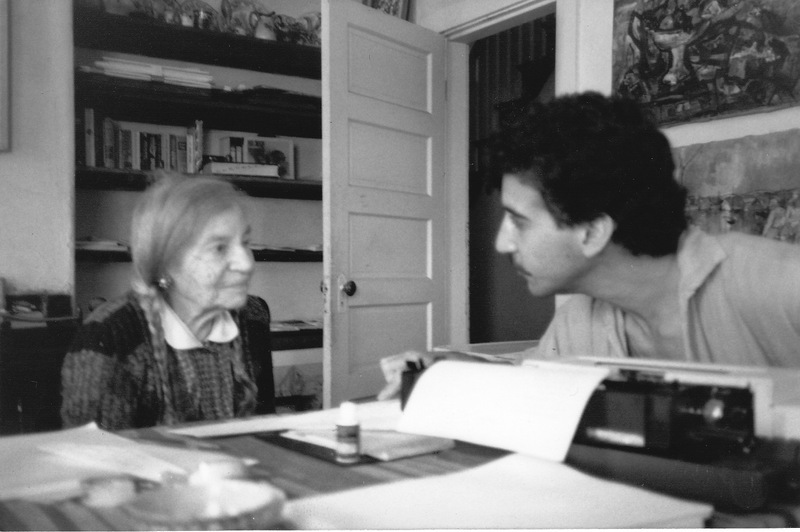 Theresa Bernstein and William Meyerowitz were my mother’s beloved aunt and uncle. She was a musical prodigy, so William took her under his wing, teaching her to sing arias in Italian and German in the dusty and cluttered studio on West 74th Street. Their pride was enormous when she was accepted to both Juilliard Prep and Juilliard. When my teenage mother fell in love with the young man who would soon become her husband, William pretended to give my father “drawing lessons” so that he and my mother could court away from the disapproving eyes of my grandparents. Theresa thus always proudly took partial responsibility for my birth. When William succumbed to cancer in 1981, I was in my final year of high school, preparing for studies at The Philadelphia College of Art. Drawn to Theresa and wanting to assuage the pain of her loss in some small way, I began frequenting her New York studio. I had visited her with my parents throughout my childhood, but this was my moment to forge a new relationship with her as an adult. In order to visit Theresa, I would take the train from the New Jersey suburbs to Manhattan, riding the IND subway to 72nd Street, arriving at Theresa’s door with a bouquet of flowers purchased at the nearby market. Theresa would delight over the flowers, and then regale me with countless stories and art history lessons. She was quite spry during those years, and we would stroll arm in arm around the Upper West Side, enjoying the hustle and bustle of the city we both loved, and from which she drew great inspiration throughout her life. We formed a strong bond in the wake of William’s death, despite the fact that we were an odd couple—the awkward teenager and the famous nonagenarian. With the strength of our symbiotic relationship growing apace, Theresa invited me to spend the summer of 1982 at her Gloucester studio. I was happy to live in Theresa and William’s neglected yet charming white saltbox house, which they purchased in the 1920s for a song. It stood at the highest point in East Gloucester, and it was a fifteen-minute walk from Good Harbor Beach, a spot that figured in many of her paintings over the decades. Theresa reported that the painter Stuart Davis lived across the street for a time. William and Davis would play chess, and Theresa enjoyed using the famous artist’s telescope to peer at the stars. Without historical documents to support her claims, Theresa would repeat stories that their home had once been an inn where George Washington himself had slept. A renowned spinner of tales, we accepted her boastings with good humor and a large grain of (kosher) salt. Over the course of that memorable summer, Theresa taught me the art of etching, a skill that prepared me well for majoring in printmaking the following fall. We spent hours cataloguing hundreds of drawings, painting, prints, and etching plates, and I was horrified to find stacks of poorly maintained paintings stored haphazardly in the extreme temperatures of the attic. Throughout the 1980s, I returned to Gloucester most every summer, furthering my relationship with Theresa and making myself useful as her age increased and her mobility declined. 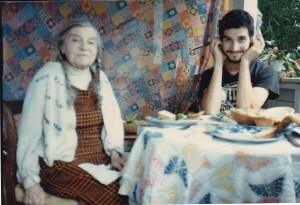 Having quit art school, traveled in Europe and Israel, and returned to the United States somewhat untethered, Theresa invited me to live year-round in the Gloucester house in the spring of 1988. When I agreed, she had the house desultorily prepared for its inaugural winter habitation, and I passed my first winter amidst the ghosts, cold drafts, and ubiquitous reminders of Theresa and William’s happy and productive life together. When I fell in love and married in 1989, Theresa opened her home to my bride and six-year-old step-son, and our family of three inhabited the house year-round until 1992, welcoming Theresa back each July when she would happily return to New England. Spending time with Theresa was like being in the company of a living master who was at once an imposing presence and a delightful and mischievous sprite who loved to laugh, tell stories, consume impressive amounts of ice cream, and paint and write prodigiously. The memorable sound of Theresa’s shuffling gait on the wooden floors is something I will always carry with me, as well as the hours spent at the kitchen table as Theresa held court with endless stories, jokes, historical “facts”, and far-ranging conversation. Our relationship was one of mutual respect and a deep family bond. For me, Theresa was a mentor, friend, revered elder and role model, and her legacy and memory remains a part of my personal cosmology. She was larger than life—and is larger than death—and I give thanks for the attention and love that she bestowed upon me, my wife Mary, and my son Rene. We miss her dearly, and hold her forever in our grateful hearts.